CLEARWATER, Fla. — There is more to the Michael Schwimer trade than just a glut of relief pitchers in Phillies camp. 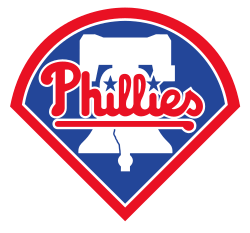 The Phillies announced Saturday that they traded Schwimer to the Toronto Blue Jays for Minor League first baseman Art Charles. Phillies general manager Ruben Amaro Jr. said they shipped Schwimer to Toronto because they had depth in the bullpen, they needed to anticipate future roster moves and they needed power at the Minor League level. But Schwimer had fallen out of favor with the organization after he disputed the Phillies’ decision to send him to Triple-A Lehigh Valley in August, claiming he was injured, although there also had been other issues. It might be more accurate to call this trade addition by subtraction. Schwimer said he agreed, but added one caveat. Schwimer also got into trouble earlier in the season when he tweeted roster moves before they became official. And while there was a personality conflict at times, Schwimer was highly complimentary to the organization Saturday. Even with a plethora of relievers in camp, it is unusual to trade a pitcher like Schwimer, who has plenty of potential. He had a 7.56 ERA through nine appearances last season, but a 3.46 ERA in his final 26 appearances. He also has options remaining, which makes him valuable. Charles, 22, hit .236 with 15 doubles, four triples, 13 home runs, 34 RBIs and a .909 OPS combined with Rookie level Bluefield and Class A Vancouver. CLEARWATER, Fla. — Nobody has said a word to Cole Hamels about Opening Day, which is fine with him. Hamels is expected to start Opening Day on April 1, but that is more than a month away. Saturday simply represented the first step toward what Hamels hopes is a late run into October. That is what he is preparing for, and that is what is on his mind. It is why he said he declined to participate in the World Baseball Classic. So Hamels also acknowledged he could step into more of a leadership role this season. 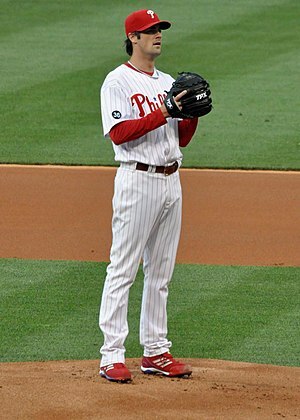 Phillies right-hander Roy Halladay said earlier this week it’s Hamels’ time to start Opening Day. He also said it’s time for him to become more vocal as a leader. Those comments came before closer Jonathan Papelbon said he hadn’t seen any leadership in the clubhouse since he has been here. Hamels used to talk about throwing perfect games and winning Cy Young Awards, but that is on the back burner. He said he sees a sense of urgency in the clubhouse this spring as some players sense the window of opportunity to win closing. So the Cy Young Award? Eh, that would be a nice bonus. CLEARWATER, Fla. — It had been a couple years of setbacks and soreness, but Chase Utley is finally back on the field. He played three innings Saturday in the Phillies’ Grapefruit League opener against the Houston Astros at Bright House Field. It was his first Spring Training game since 2010 because of problems with chronically injured knees. Utley went 1-for-2 with one RBI, ripping the first pitch he saw from Astros right-hander Lucas Harrell up the middle in the first inning to score a run in the 8-3 loss. “It was a good first step,” Utley said. Utley isn’t sure how much he will play this spring or if he will be on a routine schedule like other players in camp, but he will not play Sunday against the Tigers in Lakeland. He is expected back in the lineup Monday against the Tigers in Clearwater. But the biggest question is: no pain in the knees? Todd Zolecki is a reporter for MLB.com. This story was not subject to the approval of Major League Baseball or its clubs.